Napa4Core parterns meets at the Ten-t Days 2018 in Ljubljana! This year’s TEN-T Days had been held on 25-27 April 2015 in Ljubljana, Slovenia. 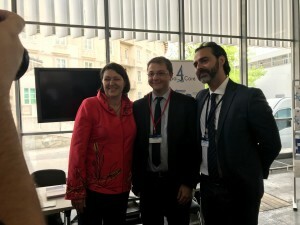 The event had attracted around 2000 transport stakeholders to discuss how to achieve smart, sustainable and safe mobility in Europe, relying on the trans-European transport network, as well as investments in transport connectivity. 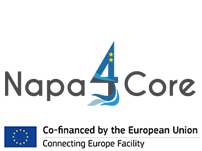 The North Adriatic ports maritime accessibility and hinterland connections to the Core Network also known as Napa4Core action has been presented in cluster booth together with the AdriUp and CarEsmatic European Projects. 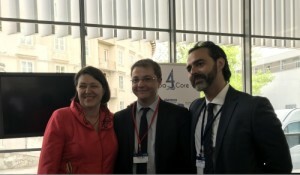 The progresses of the Action have been also presented to the Ms. Violeta Bulc European Commissioner Transport, that kindly visited NAPA4CORE stand. 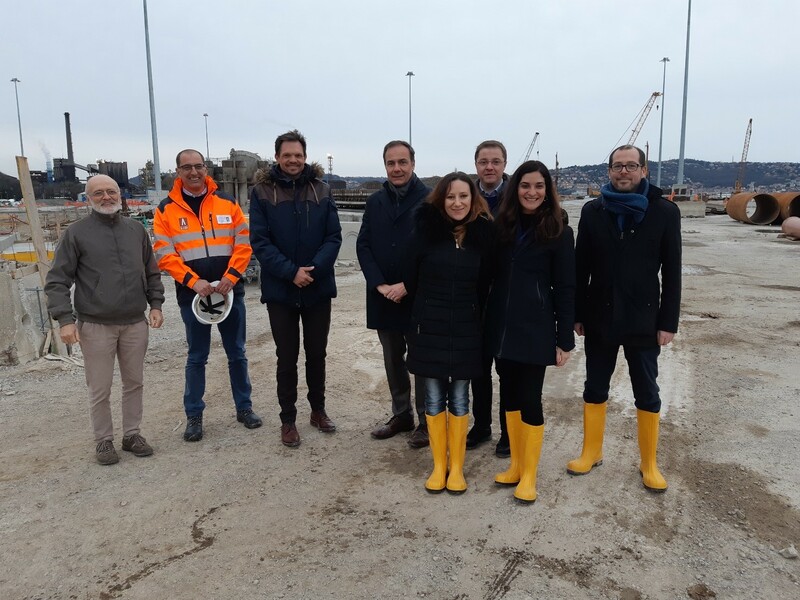 The project NAPA4CORE is focused on supporting the development of ports of the North Adriatic Ports’ Association (NAPA) as efficient and sustainable entry and exit points for container and Ro-Ro traffics fully integrated with the land infrastructure. 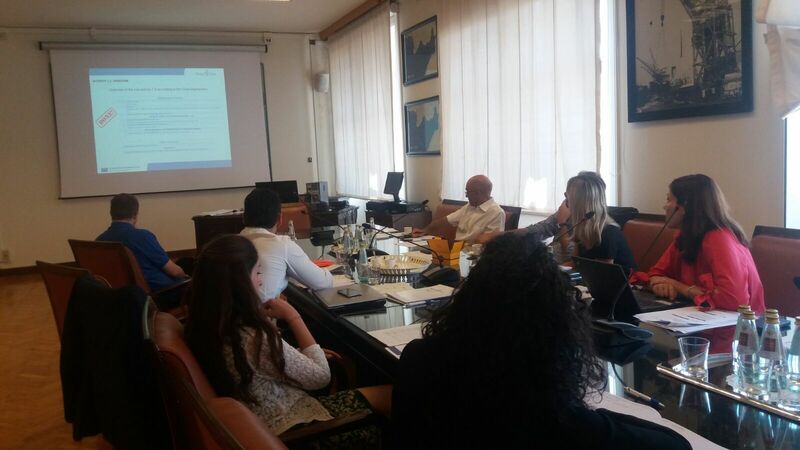 RAM spa, as implementing body of the Italian Ministry of infrastructure and transport has met with the other Italian istitution and the Slovian partners of the Napa4Core project. 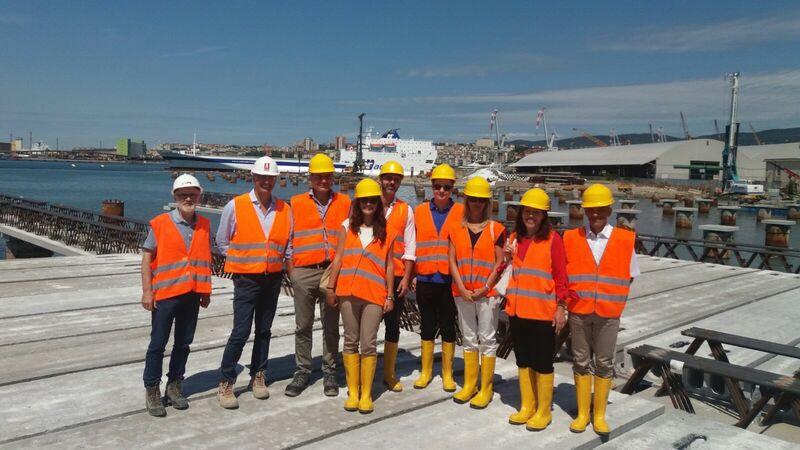 This project involved the Italian port system Authority of the Oriental Adriatic Sea and the Slovenian Koper Port. Those ports have known an important growth in the last years both in containership and Ro-Ro traffic and with the help of the Napa4Core action which involved infrastructure works in all the ports the future looks bright for the Adriatic maritime traffic! In parallel to the conference an exhibition of CEF co-financed projects took place, among which there was also NAPA4CORE which was presented on stand no. 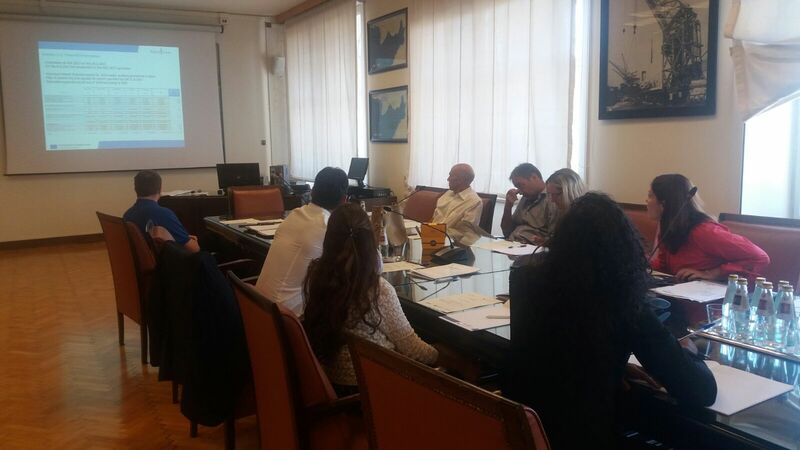 19 together with the projects ADRI UP and CARESMATIC, that involve investments in Adriatic ports. 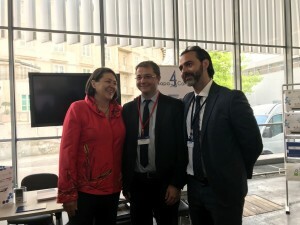 On the picture Commissioner Bulc during her visit to the NAPA4CORE stand together with Mr. Alberto Cozzi from the Port Network Authority of the Eastern Adriatic Sea and Mr. Matteo Arena from RAM spa. NAPA4CORE was presented by RAM at the CEF Conference 2017, held in Tallin last last 21th – 22th September, within the framework of the institutional events organized by the Estonian Presidency of the European Council. For this very special occasion, RAM, with the collaboration of all project partners, produced a promotional video, which was presented at the project booth, illustrating the state of play of the project. 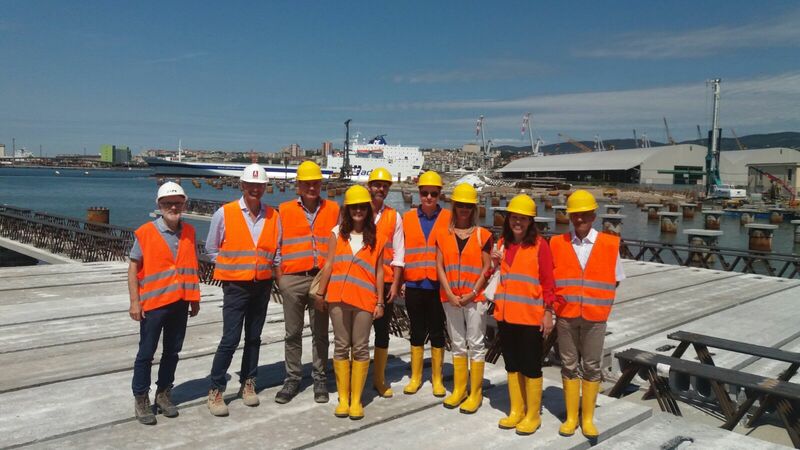 Many interested visitors stopped over and had the chance to get an in-depth insight on the project’ objectives. Among them, RAM warmly welcomed a very special guest: Ms. Violeta Bulc, European Commissioner for Transport, who kindly visited the stand, encouraging on going further in the development of the project. During the 2-days conference, high level speakers, such as Maros Sefcovic, Vice President of the European Commission, Werner Hoyer, President of the European Investment Bank, Karima Delli, Chair of the TRAN Committee amongst the others, had the chance to exchange their views on innovative financing solutions to invest in the Transport sector in the perspective of the post-2020 EU financial framework and stimulate discussion on the TEN-T strategic framework and the long-term infrastructure plans as enablers of economic growth, jobs and competitiveness of EU economy. Looking forward to meeting you at the upcoming TEN-T Days 2018!